There are several walking options. 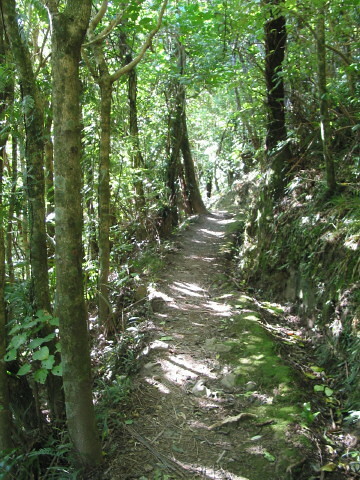 The easy Kohekohe bush walk can be completed in about 30 minutes for the round trip from Tui Crescent and back through Kakariki Grove. There is a short-cut through the trees between Kakariki Grove and Tui Crescent, shown on the map below (this is a proper marked gravel track). This lower bush route is only a gentle climb and an easy Sunday afternoon stroll. However, 400 metres from Tui Crescent there is the signposted 1.7 km Parata Track leading to a lookout about 500 metres above Waikanae. The track to the lookout is well formed and whilst climbing about 400 metres it is relatively straightforward for most people. 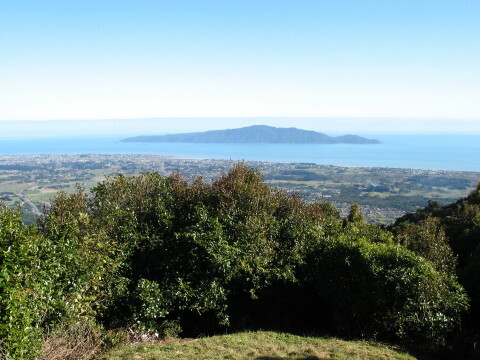 There are excellent views from the lookout towards Kapiti Island. 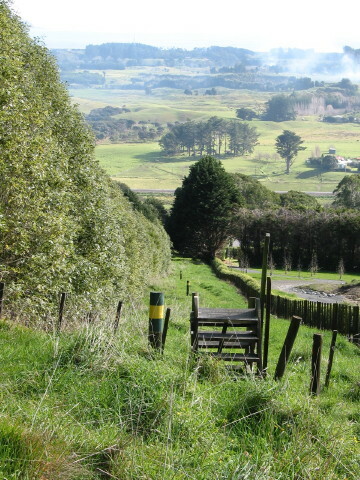 However, the Te Au loop track that continues from the lookout and exits on Huia Street is a real tramping track requiring tramping boots and a bit of experience. The track is rooted and uneven, and could be very slippery in wet weather. It is well marked with orange triangles (don't follow the pink trapping markers) and is well used. Allow 2 - 3 hours for the round trip from Tui Crescent to Huia St. If you do the round trip you will need to navigate back through the streets of Waikanae to return to the starting point. At the traffic lights in Waikanae turn inland following the sign to Reikorangi. About 600 metres up Elizabeth Street turn left on to Winara Av. Then either turn right in to Kakariki Grove or on to Tui Crescent. There are signs to "Bushwalk" which will bring you to the front of the Tui Crescent track starting point.